Since 1995, our festival has proven to be the most anticipated event in our community. Games, food, fun, prizes….Come join us for the fun! Working together, we help St. James parish come together to share our time, talent, and treasures with each other and our community. 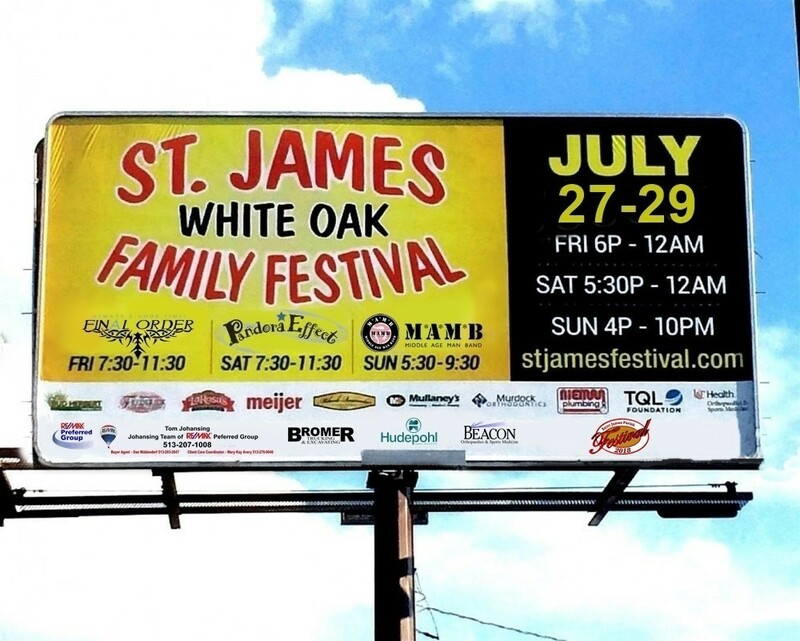 The St. James Festival is a spectacular summer event whose success is dependent on YOU and those who enthusiastically give their time, talent, and treasure to ensure that it continues to be the biggest and most well received event in our community. If you haven’t volunteered for the festival before, please consider doing so. It’s a great way to get involved, meet your neighbors and fellow parishioners, and have fun in the process. Sign up to participate and support your Parish family. If we all work together, we can continue to make our festival an enjoyable event for our Parish and our community.